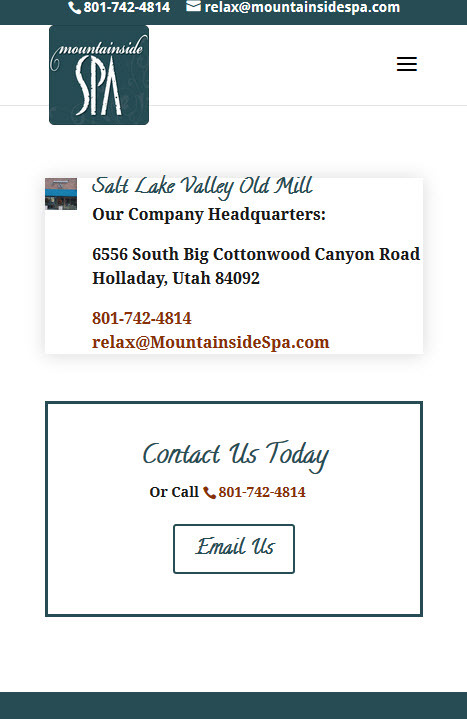 A spa management company was opening a new location to provide year-round services and central management for 3 other seasonal spas at Alta ski resorts. 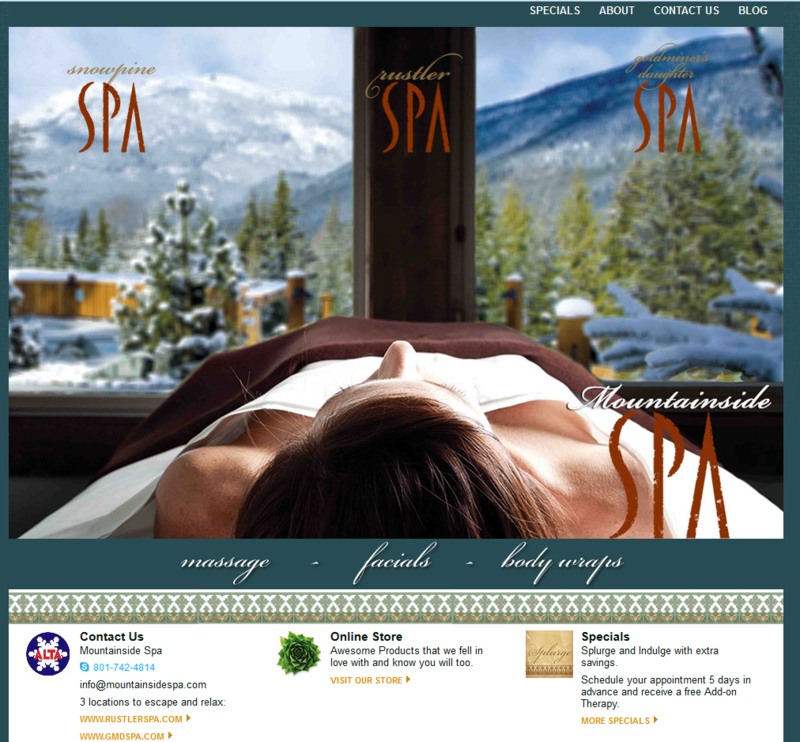 Each seasonal spa had its own existing website, branding and name recognition. 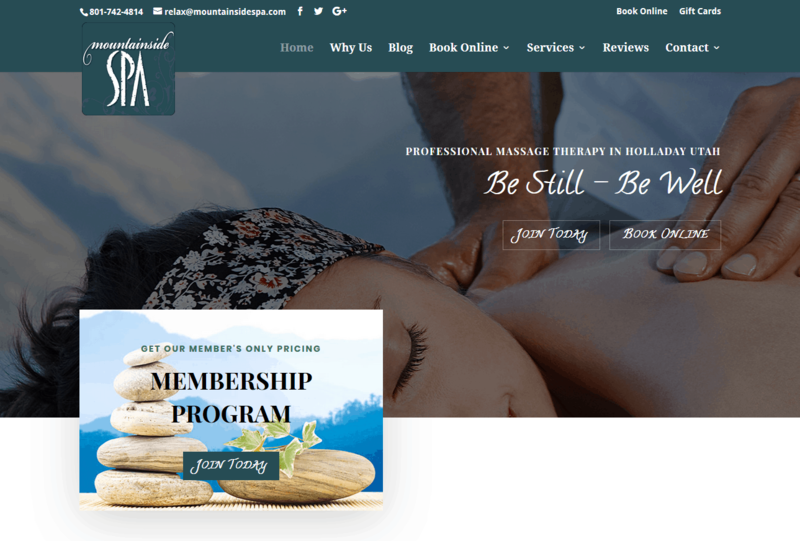 The company needed a site to tie all of its properties together and act as a connection to centralize booking. The site would also help with the grand opening of its new year-round location in the Salt Lake Valley. The project is still evolving as the company expands its services and marketing activities. I provide ongoing updates, maintenance and graphic design services. The image to the left is their mobile version of the site. As shown below, to improve SEO capabilities the site was moved into WordPress and content was expanded.